Summer is almost on the verge now. The warm winds are blowing and the sun is bathing the whole nature with the scorching heat. In such a climate, how about bringing a bit of gorgeousness and shine of nature in your kitchen, minus the discomfort and the discomfort? Summer kitchen design is a quite popular theme this season as there are many homeowners and designer are looking for the same them for many kitchens in the USA. If you are thinking of designing the kitchen with keeping summer in mind, there are surely numerous inspirations you can find around. There are many glossy magazines that will tell you about how breezy the design of the summer kitchen can be. But do you know that it can be quite difficult as most of the time, the designs are not very realistic? So, if you are thinking about how you will be channel summer in a realistic design, then you are in the right place. Take a look at the following points to know more. To bring in the spirit of summer in your kitchen interior, the best way is to add warm colors to your kitchen. If you are thinking of adding such natural hues that will wrap your kitchen up in warm clothing of summer, then bringing walnut cabinets home can be a great option for you. How that can be helpful? Walnut with its typical golden brown hue will make your kitchen look lovely and stunning while making sure your kitchen is gleaming with the shine of summer sun. In a kitchen, there are plenty of ways to add wooden texture in the décor. 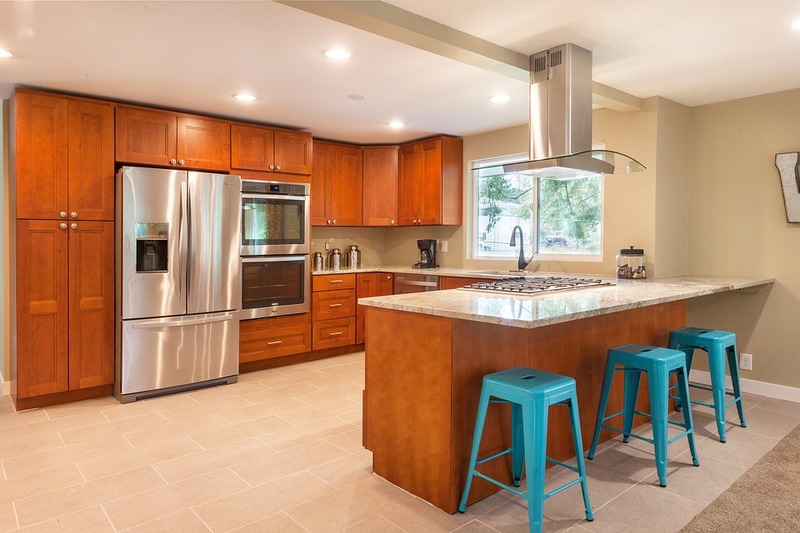 From cabinetry to barstools, there are many ways you can use a wooden finish. The naturally grainy texture will beautifully complete and complement a kitchen that will be perfect for summer. If you are choosing a natural wood like walnut or cherry, then be rest assured, the wooden texture and the grainy finish will add up to the charm of the décor which is oh-so-summer in feel and vibe. 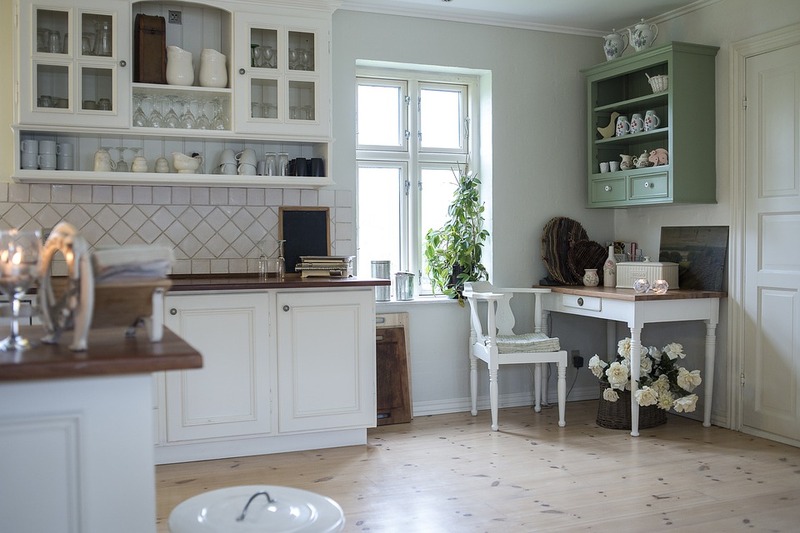 The summer kitchen, the basic thing about such a kitchen is that the visual symmetry as well as the warm welcoming feeling. This you can achieve with the contrast of a neutral shade or white and a darker natural hue. For example, if you are thinking of getting the most of such a kitchen design, go for white or beige on the wall while cherry kitchen cabinets can perfectly complete the décor. The specialty of this wood is that it ages with time and become even darker. So, be rest assured, no matter how long it is, the cherry wood will create the perfect stark contrast with the white or neutral décor which will eventually make your kitchen stunning. If you are thinking of getting the best summer feel in your kitchen, what can be the better way than letting the natural light come in? If it is a new kitchen, make sure you are leaving a big window, perhaps a French window that will let the natural light come in without any obstacle. If you are renovating an old kitchen, then make sure you are not blocking the way of natural light in your kitchen. If you are thinking of adding the last finishing touch which will be essential summer-like, then add a colorful area rug in your kitchen. The beautiful color of the rug, preferably Mexican or Oriental, will suit your whole kitchen perfectly and create a cheerful space that you have been longing for. So, now as you know about these ways of creating a summer kitchen, what are you waiting for? Implement these ideas in your design and create the kitchen of your dream.